There are possibly as many types of facials as there are spas and skin care lines. Facials are formulated for a variety of skin types and conditions, from unclogging pores and fighting acne to diminishing wrinkles and firming skin. High tech electric current facials exist alongside traditional steam-and-cream varieties. 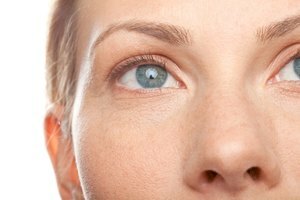 Put your best face forward by getting the facts on some specific types of facials. 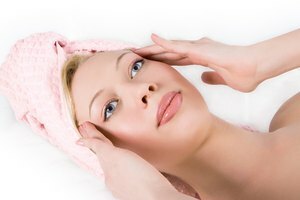 A facial begins with a visit to a salon or spa and a consultation with a licensed esthetician who performs the treatment. The esthetician will cleanse and examine your skin under a bright light and give you an analysis of your skin type. The facialist will determine your particular skin concerns and recommend how to proceed and what types of products to use. A European facial, also called a classic facial, is one that uses the basic facial elements. The skin is cleansed and exfoliated. Toner may be applied. Steam is used to soften skin and loosen pores. Extractions are performed to unclog pores followed by a facial massage to increase circulation to the face. A mask designed for the specific skin type is applied and a moisturizer is used afterward. Typically, a European facial takes between 60 and 90 minutes. Variations on the European facial incorporate additional steps and treatments along with the basics. Anti-aging facials designed for mature skin might also use topical vitamin C, microdermabrasion, light therapy, collagen, an enzyme peel or glycolic acid. Some spas offer an oxygen facial with a machine that delivers a stream of high-pressurized oxygen infused with botanicals, vitamins, minerals and nutrients. Aromatherapy facials add essential oils and plant extracts designed to relieve stress and tension as well as rejuvenate the skin. An acne facial emphasizes deep cleansing and extractions, and often might use salicylic and glycolic acids for fighting acne flare-ups. A mini-facial is an abbreviated version of the classic or European facial. Mini-facials are a good option if you're pressed for time or on a budget because they cost less and usually only take 30 minutes. These treatments provide cleansing, exfoliation and moisturizer like a classic facial but don't provide extractions. Most spas and salons that offer facials also offer mini-facials.